The UP government announced an extraordinary pension, and a road and a college to be named after the police inspector. The government also announced that a road and a college will be named after the inspector who was killed in Monday’s mob violence over alleged cow slaughter. “The chief minister has assured us that he will remain with us in this difficult time and will ensure justice for us. He said strict action will be taken against those involved,” the victim’s elder son Shreya Singh said. Hours before the meeting, the inspector’s younger son Abhishek pleaded against violence over religion. “My father is dead, tomorrow it can be some IG or a minister, he told a news channel. 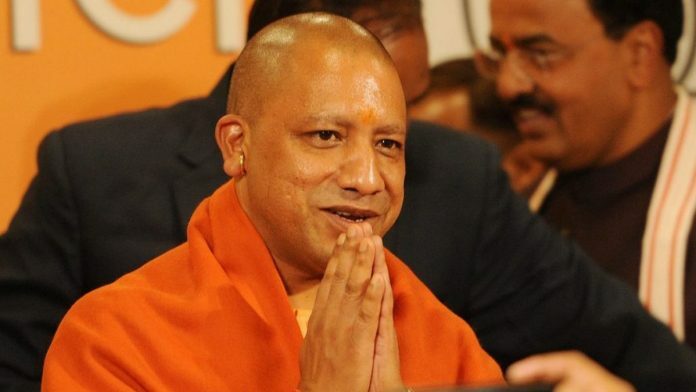 Adityanath met Singh’s wife and the two sons at his Kalidas Marg residence here, an official spokesman said. “A college will also be named after Singh to recognise and remember his courage,” he said. Garg is the minister-in-charge for Etah, Subodh Singh’s home district. The DGP said, “We in the police force are like family. Besides an extraordinary pension, we have also offered a job. But the sons are studying and we have left it to their discretion as they may like to continue with their education,” he said. On the ongoing probe, the DGP said, “The CM has issued an order in this regard and the guilty will be brought to book,” he said, but didn’t discuss it further. At Thursday’s meeting with the chief minister, the slain police officer wife said he had made three arrests in a cow slaughter case the day he died. “That day the MLA from Syana called him up, and as he was in the bathroom, I told him about the call, she recalled. The officer’s younger son Abhishek said Hindu- Muslim riots should stop and the culture of mob lynching must end. “Riots and violence should not take place. People should understand this and not take the law in their hands,” he told a news channel before the meeting with Adityanath. “My father is dead, tomorrow it could be some IG or a minister. Should the mob lynching culture go on? Never, he said. “All religions are the same. No religion is high or low. Please understand that mob lynching, communal violence or riots will not give any result, he said. If we fight among ourselves, we don’t need any Pakistan or China to do us harm,” Abhishek said. The police had said Tuesday that four men have been arrested in connection with Monday’s violence in Bulandshahr.